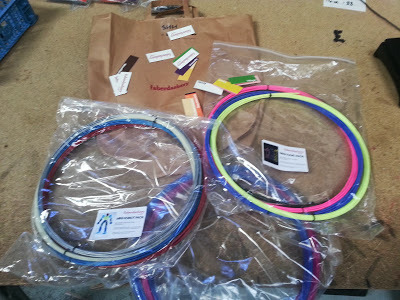 At Brighton Mini Maker Faire, the 3D printing supplies company Faberdashery kindly make a donation to SHH of some interesting coloured PLA filament for our RepRap printers. The donation included a ‘Robot Pack’ which consists of some metallic robot colours and glow in the dark colours, a ‘Rave Pack’ which consists of an interesting selection of luminous colours, and also a pack of translucent colours. Hopefully we will see some group SHH projects making use of these interesting colours!